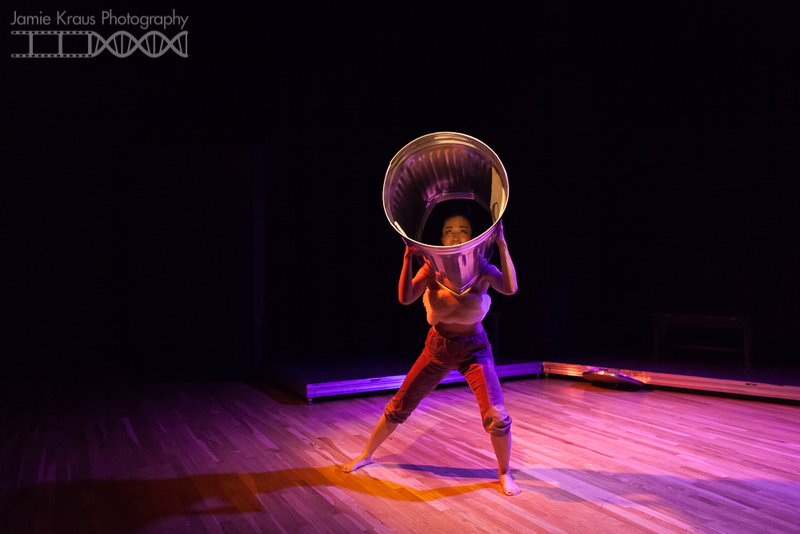 This was probably my favorite piece from last year’s MFA Thesis show at Naropa University. 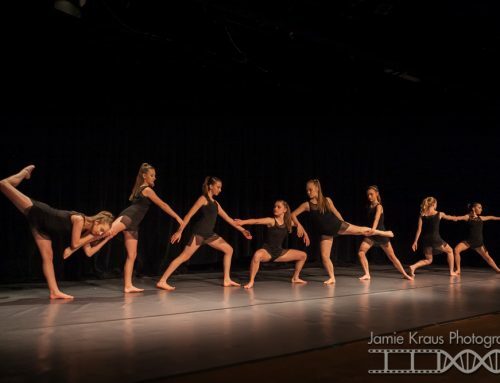 At the end of each academic year, those graduating from the school’s theater program perform works that they created for their thesis, in order to fulfill their graduation requirements. 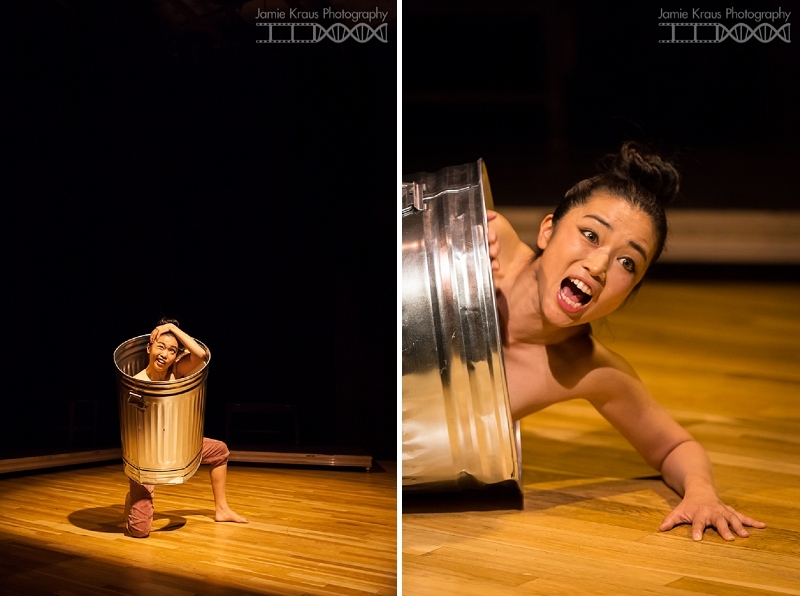 Chie Saito’s one woman show, The Trashdy of Medea, was only about 15 minutes long and was the “pre-show” to Those Who Attend Your Funeral and The Sister’s DeCantate. Despite it’s short run time, it was very impactful. 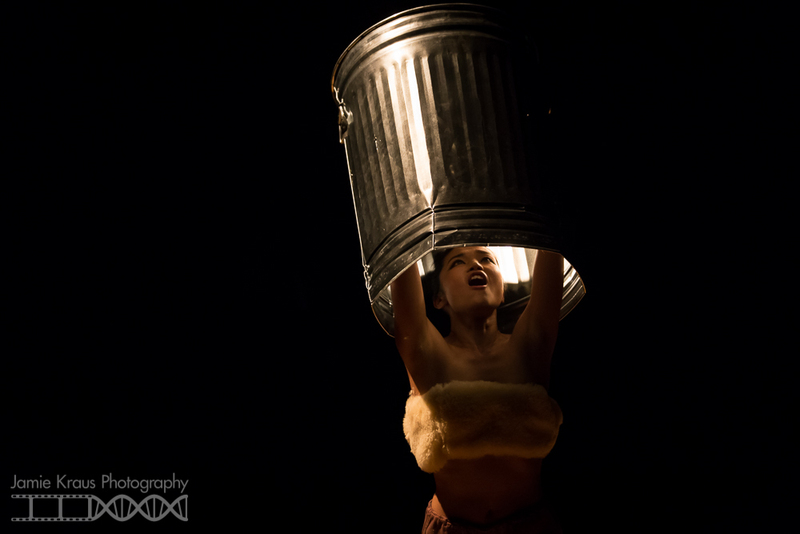 The show starts with three men carrying a heavy trash can onto the stage. Once they leave, the can starts to move. Eventually, Chie emerges and pops up, using the can almost as a dress. 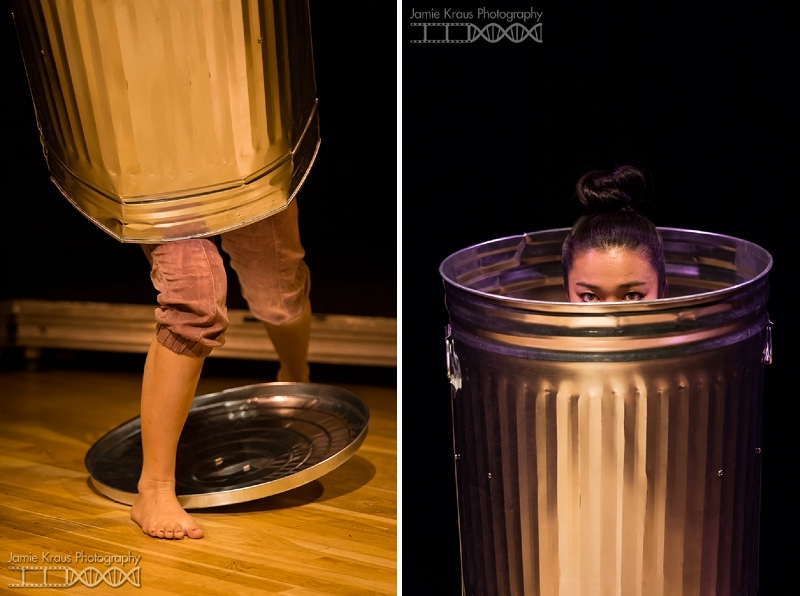 For the rest of the show, she interacts with the trash can, using it as a megaphone, kicking it away, kissing it, crawling inside to hide from the world. When I posted a photo from the show on Facebook, someone asked if the show was about the wastefulness of fast fashion trends. It is so interesting to hear what people think a piece of art means. Art is always up for interpretation and I feel that most of the time, that interpretation can change from viewer to viewer. Everyone brings their own ideas and perspectives to the table when viewing art and that is what makes art so meaningful and magical. So I want to hear what you think. 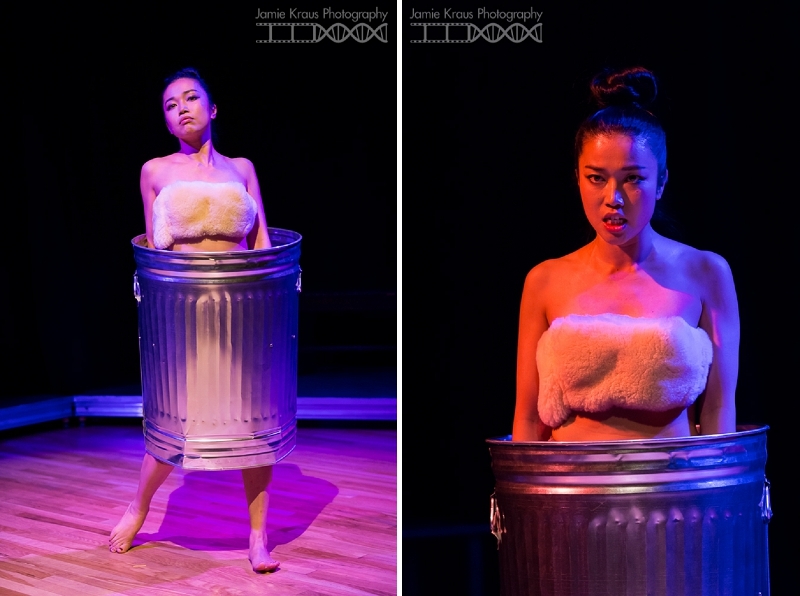 From seeing the archival photos of the piece, what do you think is the meaning behind The Trashedy of Medea? That is amazing how differently art can be interpreted. Great job capturing her! This show looks so interesting! Thank you for sharing it! Wow very cool concept- I love the images you got of it. I like the idea that it’s about how quickly we toss out fashion- my initial reaction was that it felt like it was about how women are treated as a whole…disposable. It’s so refreshing to see different types of photography! The lighting is amazing, nice job!